Partnering with Green Business Certification Inc. (GBCI) and The Investor Confidence Project (ICP), we developed the ICP Investor Ready Energy Efficiency™ Certification Training. 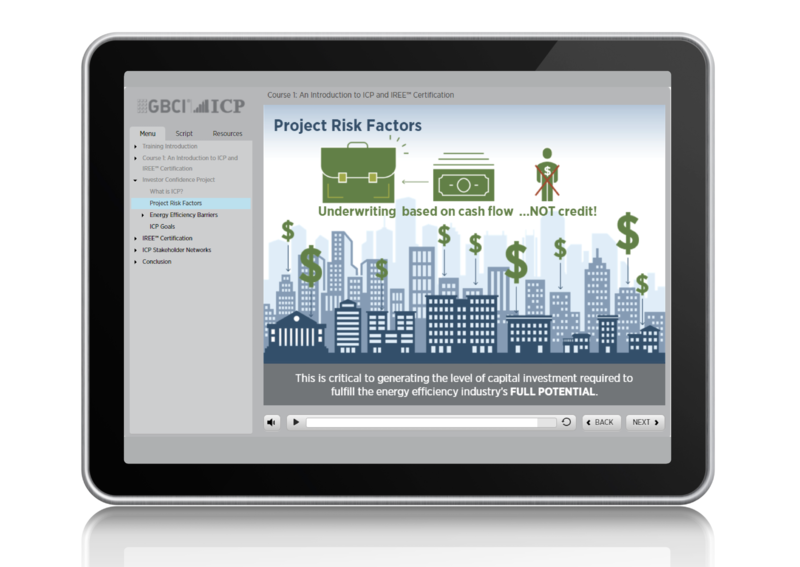 The Investor Confidence Project (ICP) is a global initiative that focuses on increasing energy efficiency deal flow by ensuring that projects are engineered robustly, financial returns are predictable, and project underwriting can be streamlined. 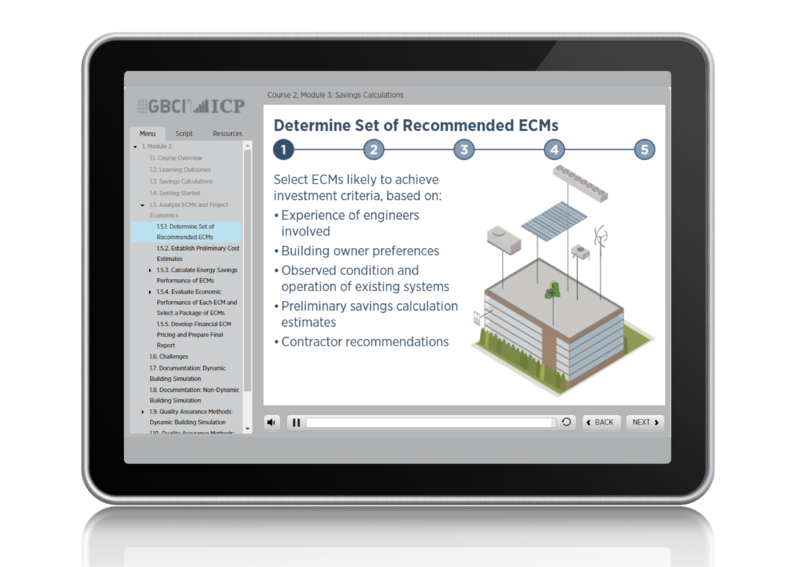 The ICP system offers a standardized roadmap for project developers, a market tested methodology for program administrators and a certification system for investors and building owners to accurately and efficiently assess project risk. ICP’s Investor Ready Energy Efficiency™ (IREE) is a certification awarded to energy efficiency retrofit projects that conform to the requirements of the ICP Protocols, were originated under the direction of qualified providers, have been independently reviewed by an ICP Quality Assurance Assessor, and are certified by GBCI. IREE projects provide investors, building owners, and other stakeholders with an increased level of confidence in project quality and their predicted financial performance. 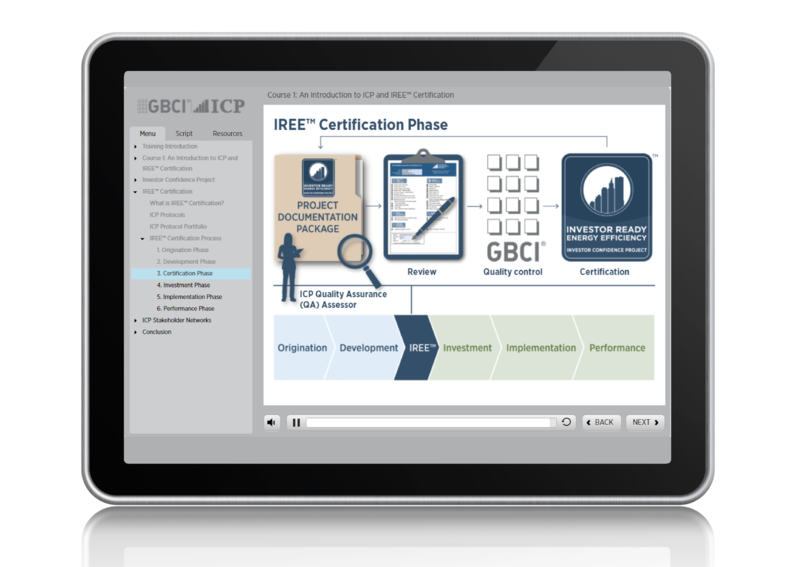 In this course users will learn about the goals, benefits, and methodology of ICP and IREE Certification. 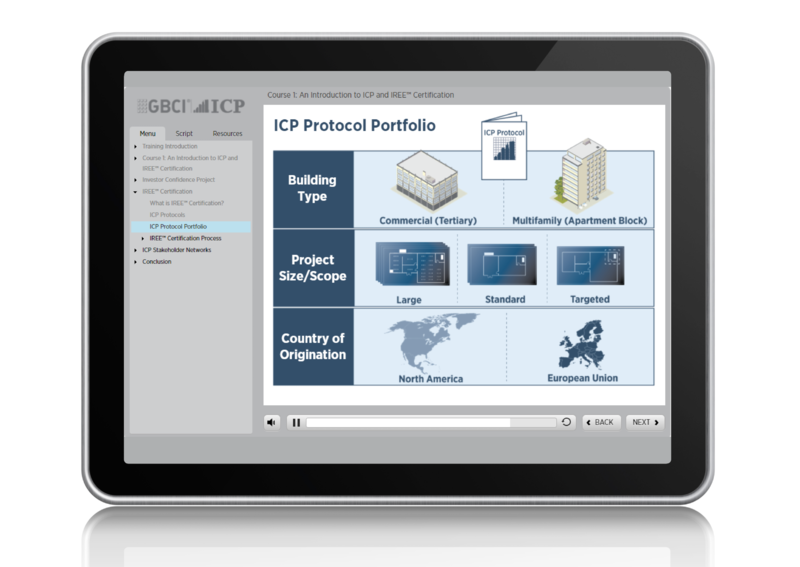 Users will also learn about the procedural and documentation requirements of the ICP Protocols and what is required to develop IREE certified projects. For more information, please visit: http://www.eeperformance.org/training.html. Articulate how following the ICP development process helps to ensure that projects are successful and achieve targeted energy savings. Describe what is required to obtain IREE certification. 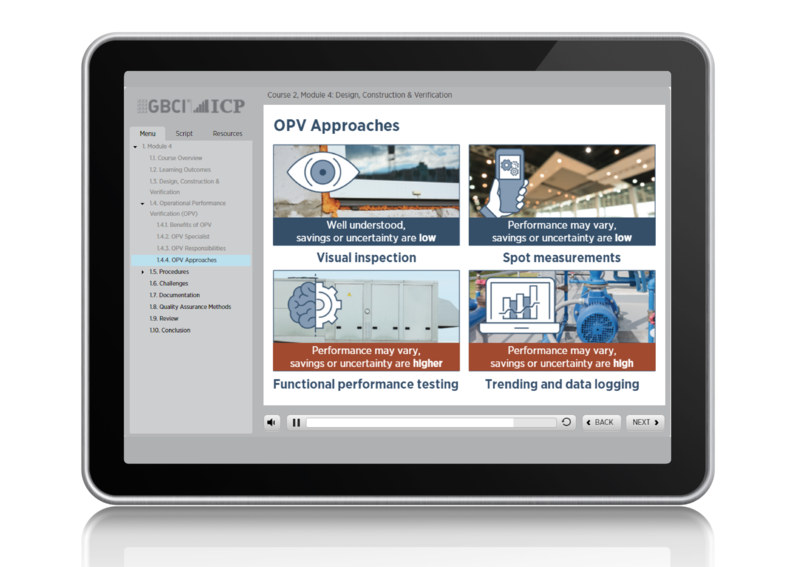 Course 1: An Introduction to ICP and IREE™ Certification can be viewed as a video for free!